Welcome to Indian Chai Stories! 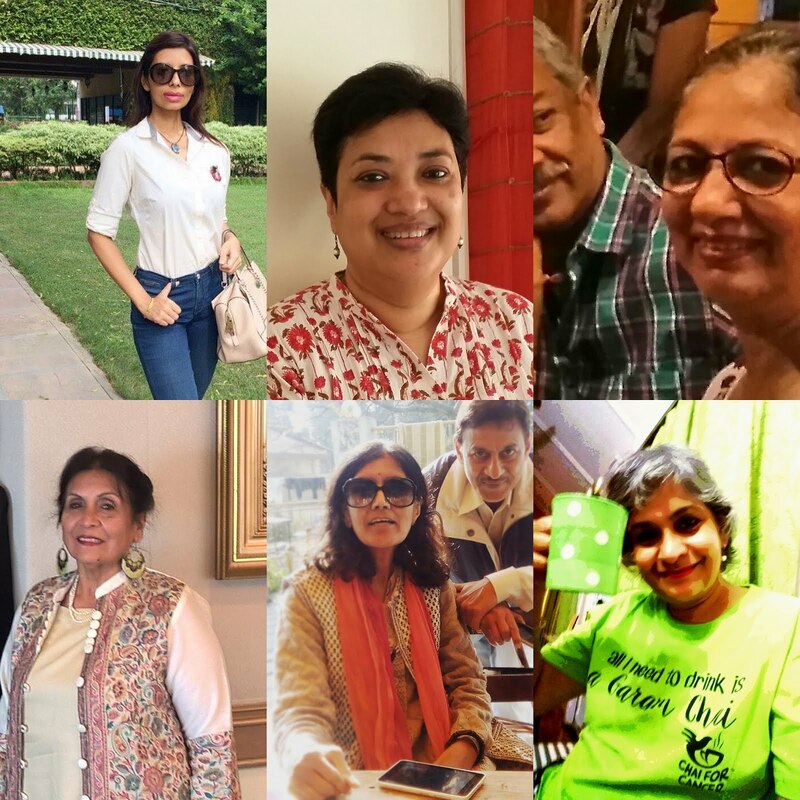 Our storytellers are people who live across the globe - in Australia, Britain, Canada, Malaysia, Sri Lanka and and the United States, and in every corner of India - Chandigarh, Delhi, Dibrugarh, Jaipur, Kodaikanal, Kolkata, Mumbai,the Nilgiris and Shillong. The stories, however, are all from tea gardens. You will get a real tea garden welcome every time you visit Indian Chai Stories! Cheers to the spirit of Indian Tea! Prelude: Unlike the interviews in North India, the interviews in the plantations of South India required the candidate to visit the estates and stay with one of the Managers for a few days. The Manager would then assess the candidate’s suitability. The General Manager would use this assessment and his own judgment to make the final call. The young lad sat nervously in the passenger seat, albeit the drive from the estate office to the Managers bungalow was a short one. The stockily built gentleman driving the car, though short in stature, was a towering personality and also the PD ( Peria Dorai: the Burra Sahib equivalent in South India) of the Estate. A fearless horseman and a skilled big game hunter, a knowledgeable planter and someone whom the workforce greatly feared, admired and respected. The respect and admiration also flowed down to the Managers and Assistant Managers of the neighboring estates. The young lad attending the interview and was supposed to stay with the PD for a couple of days in which the PD could assess whether the lad was of suitable material to be an Assistant Manager and give his recommendations to the General manager before his final interview. The General Manager greatly valued this assessment and generally went by it. There was a lot at stake for the young lad - after all a planting job those days was a gateway to a good life. He was determined to put up his best show. After tea and a shower, they met up in the drawing room for the customary drink before dinner. In the middle of the second drink, a discreet cough by the doorway indicated the presence of the Butler. He announced that a contingent of workers had arrived at the bungalow saying that a herd of elephants had entered the workers housing line units and were feasting in the kitchen gardens and they wanted to inform the Peria Dorai. Ah, elephants! Exclaimed the PD turning to the Young Lad “I bet that you have never seen elephants at close quarters come I will show you“. In a few moments, the Ambassador car was on the way to the workers' line units suitably armored. An excited crowd greeted the duo. In the dim moonlight, shadowy figures could be seen over the fencing of the kitchen garden at the far end between two labour lines. The rumbles from the stomachs and the tearing of the banana trees were clearly audible over the excited murmurs from the crowd. The Peria Dorai acknowledging the salaams, marched into the scene, as some of the supervisors and the older workers shooed off the inquisitive adolescents who were inching forward for a closer look of the anticipated spectacle. In true big game hunting style, the PD leaned on his .450 express rifles to assess the situation and called the young lad closer and pointed out the grey forms, then promptly handed him a roll of fire crackers. He then indicated to the young lad to go and fling it at the pachyderms. When he sensed a hesitation in the youngster, he remarked in all seriousness, “Don’t worry, if the buggers charge I’ll stop em”. The young man anxiously lit a cigarette and inched towards the herd as a nervous silence coupled with anticipation descended on the crowd. After he had judged he was close enough, the young lad lit the bunch of crackers with his cigarette and in one action threw them over the fence into the vegetable garden - and ran back as fast as his legs could carry him, without a backward glance. Fortunately for him, the jumbos bolted in the opposite direction away from the crowd and into the neighboring tea fields. The crowd dispersed slowly, a bit disappointed at the anti-climax. Only the General Manager knew what the PD wrote in his confidential assessment, but the young lad got his appointment letter in a few weeks. Many moons passed the young lad, now a PD himself was holding court as a bunch of young Managers and Assistants in awe were listening to the tale being related. In the end, he wistfully looked up over his whiskey and confessed that he was scared as hell, wondering what he had got himself into, and that he'd half expected to feel a trunk on his run back. "A second generation planter. Born and grew up in the planting districts of Southern India. Started my career in the High Ranges and Annamallais Planting Districts for twelve years. Had a stint in Africa for two years. Since 2009 been planting in the Nilgiris. Is this your first visit here? Welcome to Indian Chai Stories! You will meet many storytellers here at Indian Chai Stories, and they are almost all from the world of tea gardens: planters, memsaabs, baby and baba log. Each of our contributors has a really good story to tell - don't lose any time before you start reading them! Do you have a chai story of your own to share? Send it to me here, please : indianchaistories@gmail.com. My name is Gowri Mohanakrishnan and I'm a tea planter's wife. I started this blog because one of the things that I wouldn't want us to lose in a fast changing world is the tea story - a story always told with great seriousness, no matter how funny - always true (always), maybe a tall tale, long, or short, impossible, scary, funny or exciting but never dull. You will find yourself transported to another world! Happy reading! Cheers to the spirit of Indian Tea! It has long been my philosophy to live one day at a time and to try to create as much happiness for myself and around me as far as possible. I have always held that the secret of happiness is to be thankful for and enjoy the small things in life. There are far many more of them than the big events. One of the first things I did when I joined the tea industry was to learn Tamil. I recall Mr. Ahmedullah, the General Manager telling me, ‘You must speak Tamil not only fluently but like a Tamilian, not like a Hyderabadi or an Englishman.’ And that is what I proceeded to do. I engaged the local school teacher in Sheikalmudi, Mr. Kannan (called Kannan Vadiyar – Kannan the Teacher) to teach me Tamil. He was a great teacher and I was very enthusiastic to learn. Not only did Mr. Kannan teach me to speak, he taught me to read and write Tamil and also taught me something of the most famous of Tamil classics, the Thirukkural. This is a book of proverbs written by the famous sage, Thiruvalluvar who is revered for his wisdom. Thirukkural is structured into one-hundred-thirty-three chapters, each containing ten couplets, thus a total of thirteen-hundred-thirty couplets. Each couplet has seven words, four in the first line and three in the second. Amazing achievement, conveying amazingly wise advice strictly within this framework. Poetry has this power of enforcing discipline in thinking. When you are keeping to the rules of classical poetry, you must think clearly and express yourself concisely. Mr. Kannan used to read and explain them to me and I even memorized a few of them and would on occasion recite them in my speeches, much to the amazement of the audience. 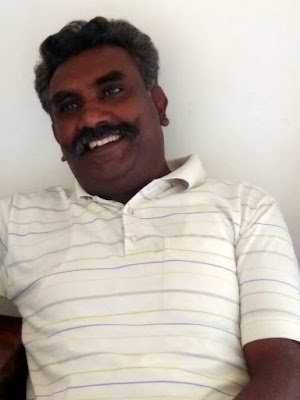 In six months of daily lessons, I became completely fluent and thanks to Mr. Kannan’s accent, I speak Tamil like a Coimbatore Gounder or Brahmin. Knowing the language is a window into the culture and so it was with me. Knowing Tamil proved to be a big asset, both on the estate as it gave me a major advantage to be able to communicate with my people in their own language, and later in consulting as I now have several Tamil business families as clients. Knowledge of Tamil was also a great asset in communicating with the Chairman of my company, Mr. AMM Arunachalam, who despite being fluent in English preferred to speak in his own mother tongue, Tamil. So, when he would come to visit Ambadi Estate and visit the Suchindram temple at Kanyakumari, his wife and he would stay with us, as I was by then the Manager of Ambadi Estate. In the evenings he would sit with us after dinner and at my request, he would tell me the story of their family and their move from Burma to India and how they evolved from being money lenders to one of the leading industrialist families in India. The conversation would mostly be in Tamil with a few sprinkles of English. These evenings gave me an insight into the minds of one of the foremost business family heads and were instrumental in helping me understand the mind of an entrepreneur. Years later when I wrote my book, ‘The Business of Family Business,’ I dedicated it to the memory of Mr. AMM as we called him and to his generously sharing his life experience with me. He was a great teacher and I was an interested and willing student. Life in the Anamallais passed like a dream. Berty Suares was the Assistant Manager on the neighboring estate, Malakiparai. And Sandy (Sandeep Singh) was on Urlikal. Both dear friends. 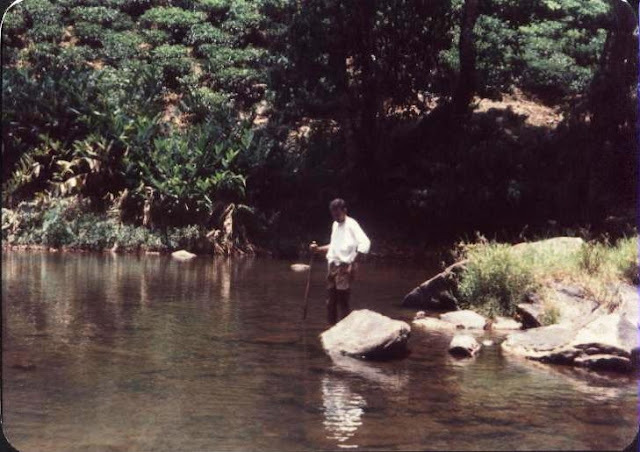 They would come over to my place and we would spend the Sunday picnicking on the bank of the Aliyar River where on a bend in the river that passed through our cardamom plantation, I had built a natural swimming pool. I deepened the stream bed and deposited the sand from there on the near bank, thereby creating a very neat ‘beach.’ Sitting on this beach under the deep shade of the trees after a swim in the pool was a heavenly experience. Add to it, eating cardamom flavored honey straight from the comb, taken from the many hives that I had set up in the cardamom fields for pollination. The flavor comes from the pollen of the flowers which the bees take to make the honey. Depending on where you set up your hives or where the bees go to find pollen, honey has as many flavors as there are flowers. While we lazed about at noon, our lunch would be brought down to us and we would all eat together. The joys of being a planter in the days when we had people who knew how to enjoy that life. And no mobile phones, net coverage and Wi-Fi to worry about. If you walked down the river for a couple of kilometers you would come to the Parambikulam Dam backwaters into which this river flowed. I had built another pool there at the bottom of a waterfall, thanks to a stream that flowed through Murugalli Estate. We used to keep a boat in the dam to go fishing on the lake. There was a thickly wooded island in the lake about half a kilometer from the shore on which one could go and spend the whole day, swimming and lazing in the shade; a very welcome occupation, free from all stress. The only sounds that you would hear would be the wailing call of the Rufus Backed Hawk Eagle and the Fishing Eagle. In the evenings, the Jungle Fowl called the hour. If you stayed beyond sunset, the only danger was that you could encounter bison (Gaur) as you walked home. That encounter was not something to look forward to as I discovered one day. Mercifully, I was walking softly, and the wind was in my face, so the Gaur was as startled as I was. He snorted, spun on his heel, and vanished, crashing through the undergrowth. I was very fortunate. It was in this period that I was promoted and transferred from the Anamallais to Assam. I declined the promotion because Assam is a backwater and one tends to get lost there. In the corporate world it is important to be physically visible, not only visible through reports. Paradoxically if you are doing well and all your reports have nothing to make anyone concerned, you are not rewarded but forgotten. It is indeed the squeaky wheel that gets the grease, and this is nowhere truer than in the corporate world. I figured that if I went off to Assam, which is about as far as you could get from our corporate office in Chennai, I would be forgotten, and this would have a negative impact on my career. I declined the promotion. However, since I had been transferred, I had to move out of the estate. This was a trying period because suddenly I had no specific job. I had to leave my job as the Manager on Lower Sheikalmudi Estate because that job had already been assigned to another colleague. That left me literally homeless as there were no bungalows in the Anamallais where I could live. I was ‘parked’ in Carolyn Estate in Mango Range until the company could decide what to do with me. I was assigned a bungalow in a forest thicket, which was in a dilapidated condition. The location of the bungalow was lovely, and it was a joy to wake up to bird calls every morning. However, the house itself looked like it would collapse on our heads at any time. Of particular concern were the walls, which were so waterlogged that they had fungus growing on them in huge patches. My wife is an amazing homemaker and all her talents were put to test in this place. Out of this dilapidated house she created a lovely home which we enjoyed living in. Carolyn , Mango Range was an interlude in my career. I was marking time and waiting for some positive change to happen, and in the meanwhile I enjoyed myself. It has long been my philosophy to live one day at a time and to try to create as much happiness for myself and around me as far as possible. I have learnt that the two are the same. You can only be happy if those around you are happy. This is true whether you are an individual, an organization, or a country. Imagine what a wonderful world we would have if instead of competing, we collaborated and shared resources. We would all be wealthier, happier, and healthier. I have always held that the secret of happiness is to be thankful for and enjoy the small things in life. There are far many more of them than the big events. If we can enjoy the small things, then we can be happy all the time. The key to enjoyment is to appreciate them and be thankful for them. The key to contentment is not amassing, material but in being thankful for what one has. The happiest people are those who are content. Content people are those who are thankful. Material wealth has nothing to do with it. Another one of my joys while living in Mango Range was the time I spent with Mr. Siasp Kothawala at his lovely guesthouse called Bamboo Banks in Masanigudi. Masanigudi is in the foothills of the Nilgiris at the edge of the Mudumalai-Bandipur National Park, so there is a lot of wildlife around. You see a lot of Chital, some Gaur, and some elephant, the latter being dangerous as they are too close to human habitation and often in conflict with people. Mudumalai is also supposed to be a tiger reserve, though I have never seen a tiger in it. My wife and I used to go to Bamboo Banks on some weekends. The gate of Bamboo Banks was an ingenious contraption. It was a bamboo pole, suspended horizontally across the road and had a plastic water container secured on one end. There was a sign for you to tug on a rope if you wanted to open the gate. The rope was connected to an overhead tank so when you tugged it, water would flow into the plastic container, which then went down and lifted the other end. All this happened while you were comfortably sitting in your car. The water would then drain out of a hole in the can and flow into an irrigation ditch and on into some fruit trees, closing the gate. Siasp was a tea planter and worked for the Bombay Burma Tea Company (BBTC). He then went into the tourism business and has done very well. We would spend lovely afternoons talking about the tea industry and the general state of the world and drinking tea. Siasp always had an angle to everything, which he would put across in a hilarious and entertaining way. Siasp also had horses on his farm and having had tea I would take one of the horses and go riding in the sanctuary. This had its exciting moments and I recall two of the best. One day, late in the afternoon, I was riding out of the farm and into the dry fields that surrounded it before the track entered the bamboo thickets that bordered Mudumalai, when I saw a hawk hovering in the sky ahead of me. I pulled up to watch it and saw a dove break out of cover from a hedge and head for the safety of the forest flying very fast. The hawk folded his wings and stooped coming down like an arrow out of the heavens. The dove had almost made it to the forest cover when the hawk hit it in middle of its back with a slap that I could hear where I was sitting on my horse. The dove must have died with the impact, but the hawk bore it to the ground and then holding it in its claws, looked up right and left, its pale yellow eyes scanning the world to challenge any takers. What a magnificent sight that was. 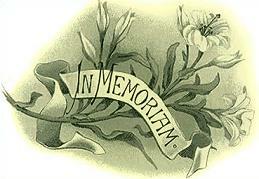 The image is engraved in my memory. As I rode on, I took a path that went along the middle of a forest glade which had scattered clumps of bamboo. After a kilometer or two, the path passed between two very thick and large clumps of bamboo and dipped into a dry stream bed and went up the other bank. I used to like to gallop this stretch and my horse knew the routine. Strangely, on that day as we came near the bamboo clumps my horse shied and stopped and refused to go forward. This was odd behavior, but I have enough experience to know that in the forest your animal is your eyes and ears and you only ignore its signals at your own peril. I listened to the horse and turned around and then took a long and circuitous route to go around whatever it was that was bothering my horse. As we came around, I saw what was bothering him. 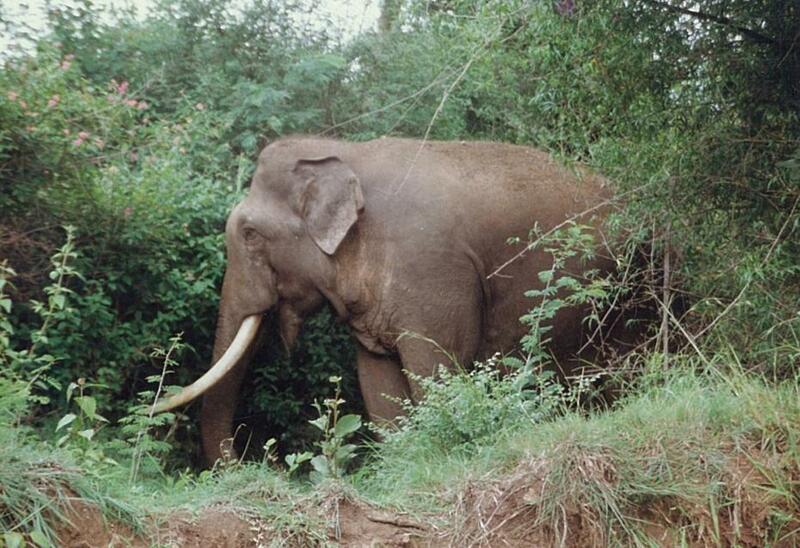 It was a lone male elephant which was hiding behind the clump of bamboo. Now I have no idea what the elephant’s intention was, but I was not taking any chances. My horse obviously didn’t like the idea of passing close to the elephant and if we had continued on that track, we would have encountered that elephant where the path was the narrowest and where it was bordered and hedged in by the bamboo. In case of an attack, we would not have had any escape. Lone elephants are famous for such attacks. A rather terminal situation which we were happy to have avoided. On one of those trips to Bamboo Banks, I saw an elephant by the roadside, a little way inside the forest. As this was quite close to the Forest Department’s housing and elephant camp, I thought that it was a tame elephant and decided to take a picture. I had a small box camera at the time in which you were the telephoto – if you wanted greater magnification, you had to go closer to the object. I got out of the car and walked almost to the side of the elephant and took a photo. Suddenly I heard someone yelling at me, his voice high pitched in panic. I looked up and there was a forest guard, a good two-hundred meters away, waving frantically at me and yelling at me to get back into the car. Since it is not an offence to get out of your car on the main road in Mudumalai, I was irritated at this man’s insistence but since I already had my picture, I returned to the car. And he went on for a while in the same vein. I was so shocked that I listened in silence. And of course, how can you get angry with someone who is only interested in preserving your life? But I still have the picture, which is very impressive. Mirza Yawar Baig. President, Yawar Baig & Associates (www.yawarbaig.com). Business consultant specializing in Leadership Development and Family Business Consulting. Was a planter from 1983-93 in Anamallais and Kanyakumari. 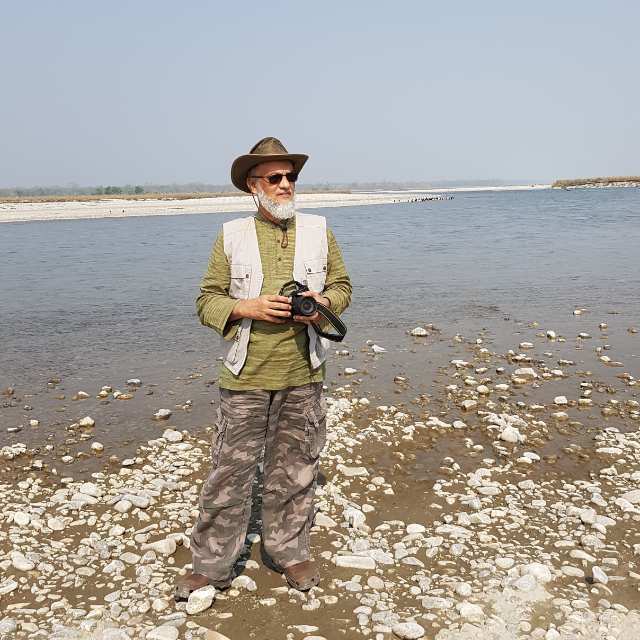 Author, mentor, photographer, speaker, inveterate traveler. Working across boundaries of race, religion and nationality to bring hearts together. I was in tea for seven years and in rubber for three. Also planted coffee, cardamom, vanilla and coconut. Do you have a chai story of your own to share? Send it to me here, please : indianchaistories@gmail.com. My name is Gowri Mohanakrishnan and I'm a tea planter's wife. I started this blog because one of the things that I wouldn't want us to lose in a fast changing world is the tea story - a story always told with great seriousness, no matter how funny - always true (always), maybe a tall tale, long, or short, impossible, scary, funny or exciting but never dull. You will find yourself transported to another world! Happy reading! Cheers to the spirit of Indian Tea! Every plantation in India could boast of its share of colourful personalities. Those who had once lived there and left their impressions deeply enough to remain unforgotten. The escapades of these flamboyant eccentrics, related with relish by the workers and staff, kept alive the spirit of ‘tea’ and its reputation as a haven of the unconventional in a world apart. Nagrakata was no exception and in my interactions with the workers there, I would frequently hear of one ‘Kummin Saab’ and his charmingly offbeat lifestyle. John Comyn was, by all accounts, a talented Englishman of a distinctive even if a somewhat quirky disposition. 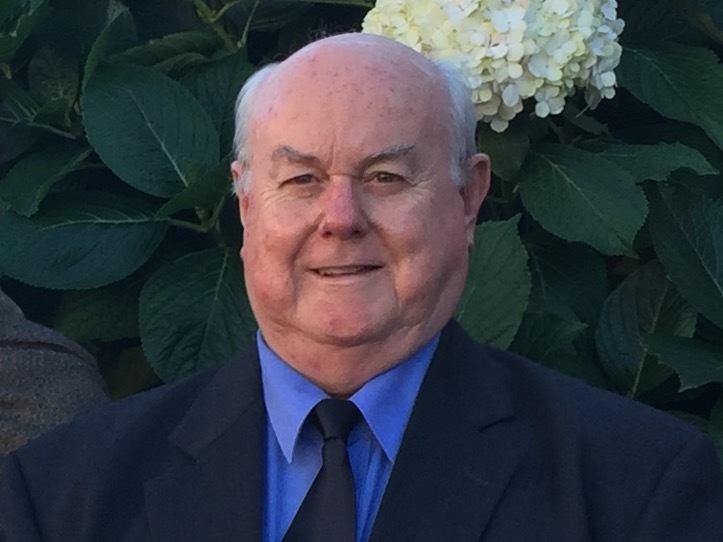 As a key member of the ‘Nagrakata Amateur Players’ (then an active dramatic society of the Nagrakata Club better known by its acronym ‘NAPs’), John’s thespian qualities came to the fore with great elan and verve. And from the tales of his exploits, revealed by the workers and staff of the estate, it would seem evident, that his sense of drama was not reserved for the stage alone! As an Assistant Manager of Nagrakata, a few years before I landed there, John Comyn earned recognition for planting up large virgin tracts with tea that got to be known as ‘Sukhanbari Division’ of the estate. As was the ‘dastoor’ (custom), when planting tea, John would reach the nursery well on time, before the arrival of the first workers, and leave the planting site only after the entire operation got over. Recalling their planting days with ‘kummin saab’, the older workers would often relate an entertaining episode, that apparently unfolded punctually at eight every morning when the estate’s old and fading Bedford lorry rumbled and rolled in at the site. This time the groaning and wheezing truck carried no plants from the nursery, as was the usual norm; instead, in it would be John’s turbaned and white liveried bearer with ‘saab’s’ breakfast and its related paraphernalia! With the lorry grinding to a halt, the bearer would be seen to be quickly jumping out and dashing with sprightly energy to erect a small marquee in a corner of the field. A folding table and canvas chair were then placed under its shade. That done, the ‘saab’s’ breakfast was carefully laid out and duly announced. John Comyn, who had thus far been walking around supervising the planting work, would saunter across and sit under the marquee to partake of his ‘English breakfast’ of bacon and eggs, toast and marmalade with hot tea poured out from a flask and diligently served by his bearer while work continued all around him! John ‘dressed’ for dinner – every night without fail, in company or alone! After sundown when darkness descended and the sounds and scents of a tropical night filled the air, John would appear in the ‘gol kamra’ resplendent in his dress suit complete with a stiff fronted dress shirt, cummerbund and black bow tie (never a ready-made bow, God forbid!). He would then settle down for a glass or two of his favourite sherry while dinner was being laid out on his fine bone china crockery with the sterling silver cutlery glinting in the flickering light of two candles. Apparently, this standard routine was never skipped! Tales other than his sartorial and breakfast habits also abounded. One, in particular, about his ‘Ghost Runs’ was related to me, more than once, by my ‘paniwalla’ (who years back happened to be with John also). With a shifty look of one terrified that the diabolical apparition might make a sudden appearance at any moment, my fidgety ‘paniwalla’ would tell me, in low whispering tones, how the ‘fearless’ Kummin Saab with a heavy flashlight in hand and the ‘paniwalla’ in tow, would regularly take to chasing an errant ‘spirit’, that sometimes suddenly appeared as a flashing flame scurrying along the lonely ‘south garden’ roads of Nagrakata in the darkest hours of the night! At my skeptical reaction, the affronted story teller would solemnly swear to its veracity adding to it that while the ‘vision’ seemed tantalizingly close, it always managed to keep just a whisker ahead of contact. Of course, if ‘Kummin Saab’ did ever get close enough to almost reach touching distance, the elusive flames would quickly evaporate only to light up yet again but further up in the distance! However much, I hoped to experience for myself the spectre of ‘the scurrying flames’, no such spooky happenings ever befell me in my nocturnal walks or cycle rides. Perhaps, Kummin Saab had succeeded in his endeavours after all with the ‘flashing spectre’ deciding to ‘make a run for it’ away once and for all! Despite his idiosyncrasies, John Comyn always remained sympathetic and sensitive to the workers’ needs He never forgot to fulfil the promises made to them. In return, he earned, in large measures, the workers profound respect and affection as evinced by the tales lovingly recalled and related years after he was gone. His charmingly quirky lifestyle remained a subject of lively conversation long after he had left the plantations for the Head Office in Calcutta. It has been a while since my last chapter. I had the good fortune to spend three months holidaying in India so my silence can be excused! My last chapter stopped at a big holiday spent in Baintgoorie TE with childhood friends and relatives. Soon after that trip my father left Duncans Tea and he moved to Kolkata too. However my days in tea do not end there. I have spent a great many years as part of the tea industry. When my mother and myself moved to Kolkata at the start of 1967 we kind of lost touch with tea people and got busy in our city lives with my being enrolled in Loreto House, Kolkata. What a change it all was! Even after my father moved to Kolkata we somehow did not meet many tea people. There were a few close friends of my parents who were ex tea planters and we would socialise with them but that was about it. The next time I met a number of tea people was when I was studying in college and we were invited at the last minute to my friend from Rungamuttee TE in the Dooars, Dora Roy’s wedding. My parents and I caught up with the Roys then at the wedding and soon after Tubloo (KK Roy, Dora’s brother) started dropping in at our place. That was 1974. One thing lead to another and Tubloo and I decided to get married. Our parents weren’t hugely enamoured of the idea as both of us were too young, but the families were well known to each other and the marriage happened in 1975. After a couple of years working for Liptons in Kolkata, Tubloo was offered a job with a tea broking firm, Creswells, with a transfer to Siliguri where tea auctions had started. By this time we had a baby, our elder daughter Pompom (Anupa). Tubloo was ecstatic with the posting as it meant we could go live with his parents PK and Geeta Roy who had retired from Rungamuttee TE and built a house in Bengdubi, near Bagdogra, North Bengal. Times were turbulent in our lives in those years. We soon had another baby, Pixie (Anindita, our second daughter). And we moved to our own place in Siliguri. Whilst in Bengdubi we would sometimes visit Terai Club which was the tea club of the district. The socialising was pleasant in the club though it was not as active as some of the tea clubs in the Dooars. We carried on socialising at Terai Club whilst living in Siliguri. As Tubloo’s job naturally took him visiting tea estates in the Terai district and the Dooars we became friendly with a lot of tea planters. Now started a time where my daughters got familiar with a tea planter’s life. How they loved their visits to the tea estates. We would visit Dalsingpara TE and be hosted by Ron and Roma Circar. How they put up with the whole jing-bang lot of us including our major domo Margaret (children’s ayah) I wouldn’t know! We enjoyed our time with them immensely. One of our trips to them resulted in us picking up a gorgeous black Labrador puppy as their well bred Labradors would breed almost every year. In our time with the Circars we got to know Ozzie and Chinny Lobo too. Ozzie was Manager, Dalsingpara TE. All of them were / are wonderful people. It would be hard to name how many planters we became friends with. Another bungalow we visited very often was in Leesh River TE. An assistant, Niraj Verma. He was a bachelor in the days we piled on to his bungalow too. He would make us all so comfortable. He would visit us in Siliguri too and I will never forget how much Niraj liked Bengali fish! He would eat Pabda, Bata, Illish and any variety of fish that Bengalis eat with such relish and real love of it. In fact we had a number of non-Bengali friends who would come to our place to have a huge meal of Illish Maacher Shorshe Bata! We gained a reputation for being hospitable and everyone knew we loved to entertain and feed people! The good fortune of living in Siliguri gave us the delights of being able to travel the mountains around us. Going on day trips to Darjeeling was fairly common. 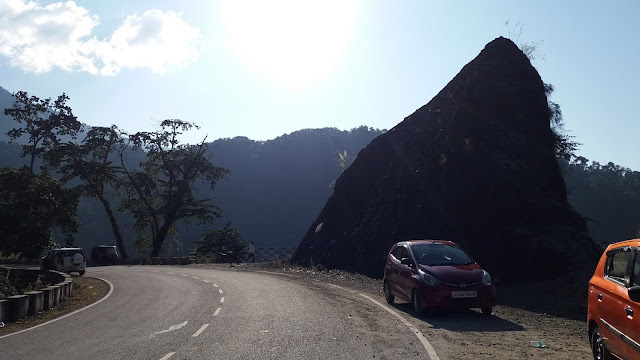 The minute we started climbing the hills we would all feel ravenously hungry, barely being able to wait till we got to Kurseong where we would have a delicious breakfast at the Kurseong Tourist Lodge. We visited many hill stations whilst living in Siliguri. Many parts of Sikkim became familiar as we visited over and over. Kalimpong, always so pretty. The highlight of the mountains was Bhutan. What a country! We were lucky to make 3 trips to Bhutan. A pristine, grand, totally carbon footprint free kingdom. The journey to Thimpu (Bhutan’s capital) from Siliguri was approximately 14 hours. We would drive to Dalsingpara TE and stop over for the night. The next day we would make the 10 hour drive to Thimpu. We had a big car, a Contessa which was sort of like the old Studebakers. I would fill in the space between the back seat and front seat with suitcases or boxes that would fit snugly in so I could then put a thick blanket over the entire back seat and the suitcases which created a bed for the girls. The first time we travelled up to Thimpu the car just did not want to move up in the Bhutan mountains! Between Phoentsholing, the entry township to Bhutan in the plains and Thimpu there was not a single car garage, petrol station or mechanic! We arrived in Thimpu with the car panting and puffing! And it happened to be a public holiday in Thimpu so not a mechanic available! Well, thankfully one of our friends who accompanied us had some Bhutanese friends. They called on a mechanic and it turned out that we had driven all that vast distance with not a hope of help, on a cracked carburettor cap! It was an adventure for sure! We became close to other tea planters who were in the Terai district. One of those families have continued to be my close friends. They were the Ghaffars and Aman Ghaffar was Manager at Hansqua TE that was at Aman’s time owned by a proprietor and not one of the tea agency companies such as Goodrickes or Duncans. The senior Ghaffars, more Aman Ghaffar than Dipi his wife, actually knew my parents when Dad was a tea planter and Aman would have seen me as a child. And then us Roys, Tubloo, my daughters and myself, as a family, got friendly with the senior Ghaffars. I graduated soon to the junior Ghaffars as I was sort of in between age-wise! We spent many days in each other’s company and those ties in the 1980s have created bonds that have lasted. We share so many memories together that when we get together today the feelings are of familiarity and deep affection. All of us have our life stories but we inherently know each other for what we are. Dipi was from the old style of tea planter wives and her hospitality was outstanding. She and I share a common love of food and her table would be so grand and mouth-watering. And another thing about Dipi is her generosity. Throughout the years when we lived in reasonably close proximity Dipi would drive in to our house in Siliguri from Hansqua TE which was about 20km away and a basket of fresh vegetables from her malibari would be offloaded to us! I can still see the beautiful, just picked cauliflowers, shiny eggplants, young cabbages, radishes and so much more that we would enjoy cooking and eating for days after. We were truly lucky to enjoy an unpolluted environment with the beautiful tea estates anywhere we looked and that we visited and the quality of produce and food that we availed. I would drive almost 30km to a poultry run by Catholic priests (we knew the priests) and pick up fresh eggs and undressed chickens. On a haat (market) day I would visit mainly Salugara Haat to pick up kilos of the most gorgeous pork we have ever had. I became well known for my pan bbq-ed pork rib chops! They were known by our friends as PC-s! The Illish we have had in Siliguri could rival the best of what you could get in Kolkata! I will never forget a lunch we had where our dining table was full with more than 10 of us at the table. Lunch went on for a couple of hours as the men (as I mentioned before, non-Bengalis) devoured piece after piece of shorshe illish! Each one of them would have had more than 4 pieces each! I had to cook up fresh rice as they ate so they could keep enjoying the illish maach! Once done with the meal I began slicing chilled langraa mangoes. Oh my God! They went down like our friends had never eaten mangoes before! I had just the day before shopped 5kg of the mangoes. Every one of them was sliced and was polished off! Of course the standard of the mangoes was top class. And I used to rustle up desserts with the most gorgeous fresh cream from an army dairy in Bengdubi! You could say it was quite a life of decadence! On that salivating note recalling the quality of food we enjoyed in our Siliguri days I leave you till the next chapter. Meet the writer: 'My name is Shipra Castledine nee Shipra Bose (Bunty). My parents were Sudhin and Gouri Bose. I am a tea 'baba' of the 1950-s era. I spent a part of my life growing up in the Dooars and another large part of my life married to a tea planter's son the Late KK Roy son of PK and Geeta Roy of Rungamuttee TE in the Dooars. I continued to be in the tea industry for many years as KK was a tea broker till he passed away in 1998.' 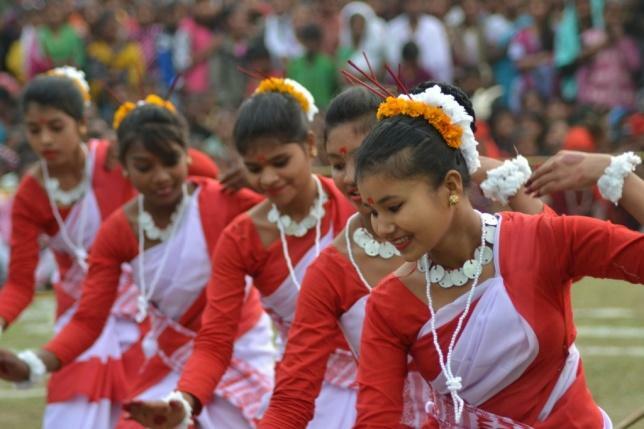 Shipra recounts her childhood in the Dooars and her school days in Darjeeling in a series called 'Back in the Day' of which Part VII went up in August. Read all Shipra's posts here.. 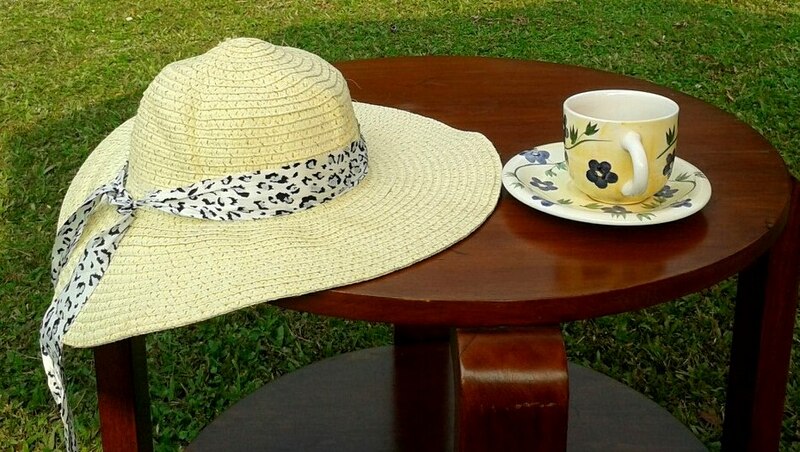 If you've ever visited a tea garden or lived in one, or if you have a good friend who did, you would have heard some absolutely improbable stories! You will meet many storytellers here at Indian Chai Stories, and they are almost all from the world of tea gardens: planters, memsaabs, baby and baba log. Each of our contributors has a really good story to tell - don't lose any time before you start reading them! indianchaistories@gmail.com. 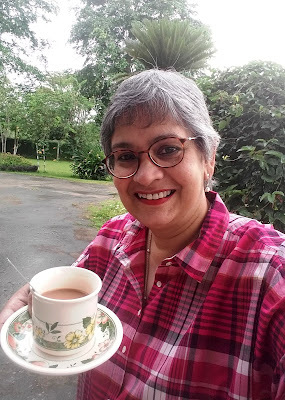 My name is Gowri Mohanakrishnan and I'm a tea planter's wife. I started this blog because one of the things that I wouldn't want us to lose in a fast changing world is the tea story - a story always told with great seriousness, no matter how funny - always true (always), maybe a tall tale, long, or short, impossible, scary, funny or exciting but never dull. The blog is updated every two to three days. You will find yourself transported to another world! Happy reading! Cheers to the spirit of Indian Tea! I was a member of the team that built the Mayura Factory in the Anamallais where I was the Assistant Manager in charge of the building project. So, I was closely associated with the project from the word ‘Go.’ The factory was built on Lower Sheikalmudi Estate and AVG Menon, my first manager, was made responsible for the project. He appointed me as his assistant for the day to day supervision of the construction. So, I became the defacto Site Manager of the project. At that time, I was the Assistant Manager in charge of the factory on Murugalli Estate which borders Lower Sheikalmudi. Murugalli factory manufactured tea in the Orthodox way and I was well versed in that. Mr. Kumaran was the Tea Maker (that is what the Factory Manager was called) and was kind enough to teach me about his art. Tea making is an art. Despite all the science and technology that is in it and more so today, it remains an art which you must see those who know it, to appreciate. Kumaran was one of them. When the Mayura offer came, I was told that I would not be relieved from my role in Murugalli factory and that if I wanted to take the offer then I was free to do it without any additional pay or facilities. I accepted. The thought that I could refuse didn’t even enter my head. For one thing, AVG was a dear friend and my first manager. For another, it was a unique opportunity for me to learn about CTC manufacture. And much more importantly, I would be part of a new factory project, which happened in the tea industry very rarely indeed. So, though it meant practically double the hours, I did this job gladly. Mayura was unique for many reasons. For one thing, it would have a capacity to process one-hundred-thousand kilograms of green leaf per day. At a time when the average production was two-thousand-five-hundred kilograms made-tea per hectare, this was a huge figure, one that nobody thought could ever be reached. It was the vision of Mr. K. Ahmedullah the General Manager, and Mr. N. K. Rawlley, the Visiting Agent, who proposed the theory that creating capacity would stimulate production as it would put pressure on the estates to supply the factory and so the yield per hectare of the estates would go up. Initially, nobody believed them except the Murugappa family; Mr. Alagappan and Mr. AMM Arunachalam in particular. But that was enough as they were the ones who were funding the project. Once the factory was completed, Ahmed’s and Nikoo's vision was proved right. The production of the estates went up from two-thousand-five-hundred to four-thousand kilograms per hectare. Needless to say, this did not happen by magic. A lot of people put in a lot of effort, but there is no doubt that it was the presence of Mayura that pushed us all to excel. Once again this proved to me the value of vision. My knowledge of bulldozers and machinery acquired in Guyana in the mines, came in very handy when later I was doing a Job Evaluation exercise in the company and had to evaluate the difficulty of each job. Knowing how to do the job yourself is obviously a big advantage and not one that most non-technical people have. My learning in this incident of the bulldozer was the fact that to build credibility it is important to be able to lead from the front. You don’t have to do people’s jobs for them. It is not even desirable to do this. But you do need to demonstrate that you know what they do and can do it if necessary. It is when subordinates get the impression that you know nothing about what they do, that it makes them nervous and lose motivation. The good ones feel a little lost. The crooks take you for a ride. Chary and I lived in the bungalow behind the tennis court. We could see the construction site from our veranda. Since Chary was a Brahmin, out of consideration for him, I had instructed Bastian not to cook any meat while he was staying with us. No meat was cooked for over six months in our kitchen. I would go to some of my other friends like Berty Suares and Taher for my meat fix. The bungalow had a somewhat shady history in that it was supposed to have been the estate hospital in the remote past during an epidemic and many people had died in it. All this and more news was given to me by my dear friend, Kullan. Kullan had retired and his son Raman was a worker in the Upper Division. Raman used to be my companion on my treks to Grass Hills and his father became my friend. Kullan would turn up in the evenings and he and I would sit out on the veranda and he would tell me stories of these hills. The fact that I had learnt Tamil and spoke it fluently was the root cause for this and many more friendships and for my being able to have a very different relationship with my workers, from most managers. What also helped was my whole attitude of treating my workers like colleagues and not as servants. They appreciated it and returned my affection manifold. Having said all that, Kullan refused to enter my bungalow and sit in the drawing room. He looked horrified when I suggested it and insisted on sitting in the veranda. There too he refused to sit on a chair and so both of us would sit on the steps. That having been settled, both of us would drink tea and Kullan would talk. It was Kullan who told me about the number of people who had died in my bungalow it is erstwhile incarnation as a hospital. He told me that when he was a boy there had been an epidemic (my guess is cholera) and many people were brought to the hospital but few survived. This was evidently in the rainy season, which meant torrential rain. I asked him what they did with the bodies, because cremation would have been almost impossible. In any case most tea estate workers who live on the plantations, bury their dead instead of cremating them but that also would have been very difficult in the monsoon, especially if the numbers were catastrophic as they would have been during an epidemic. “They threw them into the ravine,” he told me, in a very matter of fact manner. “Which ravine?” I asked him. “That one,” he gestured to the ravine behind my bungalow. That was, to say the least, not very comforting. However, I don’t believe in ghosts and so was not too bothered. But…. My bungalow also had the dubious distinction of having a resident demon. There was a small shrine at one end of the garden, which I was told was a shrine to Karpuswamy (literally means: Black God), who the people described as a very powerful and evil entity that needed to be placated with an annual animal sacrifice. The sacrifice itself was not done in the bungalow garden because it was done at a larger temple, but every morning one of the tea plucker women would put some flowers at the shrine. Mr. Chary, like most highly educated Hindus, did not believe in any of this, given more to keeping to the social norms than any real belief in the religious mythology. On occasion he would sit with me and Kullan and listen to Kullan’s stories with a skeptical expression on his face. But then in the 80’s there was precious little in the form of entertainment in the Anamallais and going to the Anamallai Club in Valparai meant a motorbike ride of thirty-five kilometers one way on windy hill roads and a return late in the night with good prospects of meeting elephants on the road. While I loved to do it and have some tales to tell, it was not Mr. Chary’s cup of tea. 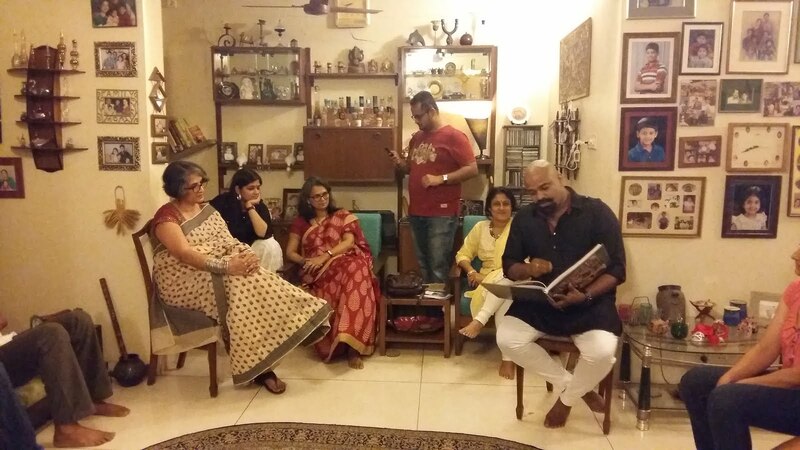 So, most evenings we sat in pleasant companionship and talked about Tamilnadu and Tamil culture or listened to Kullan. Some weeks after Chary and I moved into the bungalow, some rumors started to circulate in the estate to say that my bungalow was haunted, and that people had seen Karpuswamy near the bungalow at night. I saw nothing and was not perturbed by the rumors. I don’t believe in ghosts and don’t believe that anything can harm or benefit anyone except the Creator Himself. So, I slept well. Chary told me one day when he was leaving after the completion of Mayura Factory that he never seemed to sleep well in this bungalow. But I was not sure how much of that was because of some unconscious effect of Kullan’s stories and Karpuswamy rumors and how much of it was plain indigestion or some such thing. He was over sixty years old at the time, after all. I had recently bought a used Ambassador car. Among its other attributes was the fact that it was graced with a carburetor that was cracked down the middle and was held together with a wire. Now hold on – before you go making sly remarks about Ambassadors, ask yourself, ‘which other car would still run in this condition?’ And run it did. However, it did need long hours in the workshop. In the plantations the workshop came to you, as did most other things. One night Velayudhan, the mechanic, was working on the car in my garage behind the house. He worked late into the night and promised to return the next day to complete the job. The next morning there was no sign of him and when I sent someone to look for him, the man returned and said that Velayudhan was in hospital. I was very surprised and concerned as the man had been working in my house the previous evening and had been well and healthy. What could have happened to him for him to be hospitalized? He was a cheerful and willing worker and I had a very good relationship with him, so I was genuinely concerned for him. I went to the hospital and first asked the doctor what the matter was with Velayudhan. The doctor told me that he had been brought to the hospital late the previous night hysterical, his heartbeat racing and in a semi-conscious state. He was so bad that the doctor had been afraid the man would have a heart attack or a stroke. All this seemed to have been brought about by intense fear. He had to be given a heavy dose of sedative to put him to sleep. In short, the man had been extremely frightened by someone or something. I went to see him, and he told me the story, which I present to you without comment. The train huffs and puffs uphill on one of India’s last remaining mountain railroads like a giant worm, trying to find the easiest gradient up the steep slope. For the excited occupants of the train, it's the key to unlocking a hidden world of unparalleled beauty as the train journeys on through tunnels, twists and turns around the hills, crossing high arch bridges and overlooking some of the most spectacular scenery as the Nilgiri Hills rise over the plains of Coimbatore. Runnymede, Wellington, Hill Grove, Adderley: exotic names of stations pass by as the train reaches its destination, the town of Ooty, at 7200 feet above sea level. These ancient mountains span approximately 3900 square kilometers, and being blessed with a considerably cooler climate than the surrounding plains, the slopes are dotted with tea fields and vegetable gardens. Imagine these magnificent mountains being split by a smaller but higher mountain range running from northwest to southeast, with the escarpment overlooking the much gentler hills of Wayanad and the Bandipur, Mudumalai National parks on the northwestern edge.Towards the southeastern side they give way to the Palghat pass. This mountain range rises up to 8,600 feet above sea level and has a stunningly beautiful landscape with lofty peaks and undulating grasslands interspersed with islands of jungles within its folds along the valleys. Wildlife thrives abundantly here especially in the Mukurthi National park (78 Sq.Kms) and its buffer areas. 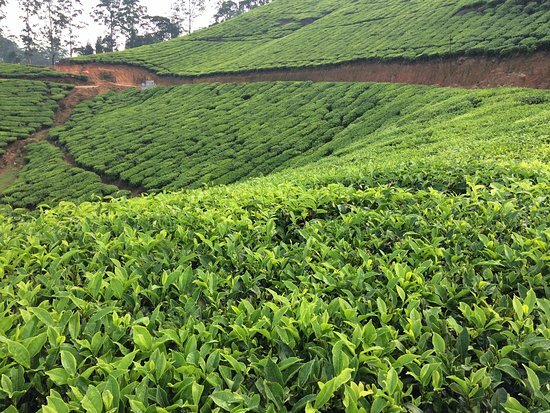 A handful of estates with their tea fields situated between 7500 feet and 8100 feet above sea level in this part of Upper Nilgiris border the Mukurthi National Park producing some of India’s finest high grown teas. These estates are unique even to the rest of the Nilgiris as they have very different vegetation and weather. The high mountains trap the monsoon clouds and prevent them from reaching the interiors of the peninsula and these grasslands, acting much like a giant sponge, absorb the torrential rains during the monsoons and release the water in the ensuing drier seasons. Along with the Mukurthi National Park, the area forms an important catchment area for three major districts of Tamil Nadu. The Bhavani river, a major tributary of the Cauvery River, originates here. The landscape within the estates is remarkably unique with giant Blue Gum trees ( Eucalyptus globulus ), varieties of wattle (Acacia decurrens and Acacia melanoxlyn ) and evergreen pine trees ( Pinus pinata ) punctuating the tea fields and grasslands. These trees are not native to the land and are introduced species. These highlands are sparsely inhabited except for the odd Toda tribal settlements. The Todas are the original inhabitants of this land and are nomadic cattle grazers. As the northeast monsoon recedes and December approaches, there is a noticeable shift in the weather as the days become clearer and the nights colder. A truly Christmassy feeling descends, accentuated by the biting cold as the mercury dips to below zero. 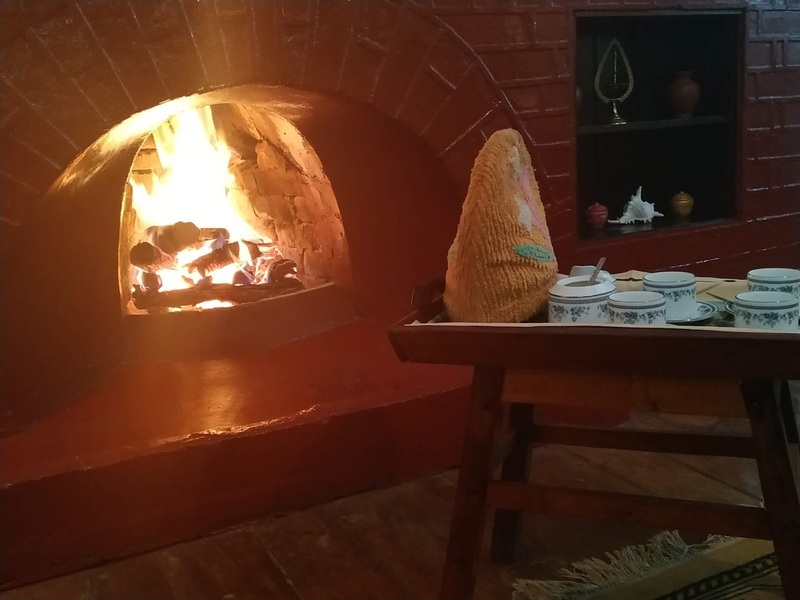 The bungalow fireplaces begin to cackle, as the pine and eucalyptus logs blaze merrily. Mufflers, sweaters, and thermals are in fashion and it’s time for endless cups of tea and hot chocolate, while some others prefer what one of my friends termed “a wee dram” to keep one warm. The day times are pronounced by the sharp sun, clear cloudless skies and relatively high temperatures reaching 25-degree centigrade. By evening the mercury dips sharply going below zero and by early morning the freezing temperatures result in frost with the tea and the grasslands in the valleys covered with frost. Early morning sights make for spectacular viewing with the valleys covered with a film of ice, making them appear crystal white in color. By mid-morning the frost affected tea bushes have a scorched appearance, devoid of any foliage, leaving just the bare frame and the resultant areas being out of plucking for the next few months. Frost hit tea bushes. Photo taken in early morning. The warmer the mornings, the colder the night, a phenomenon which confounds many a new visitor to these estates. The sub-zero temperatures bring the growth to a grinding halt and crops come crashing into double-digit yield figures for the month. Unlike in the North Indian estates, where there is no plucking during the winter months, in these estates, the winter is when the quality season starts. The freezing cold temperatures along with the slow growth concentrates the enzymes in the tea shoots thereby giving the tea a rare winter character much sought out by the connoisseurs. Meanwhile, at the Estate Office, frantic emails (letters in the olden days) are exchanged with the Group Office / Head Office giving details of the affected area, anticipated crop loss etc. The same dominate the discussions in the evening at the club bar. The vegetation changes dramatically with the grass turning into a scorched dry yellow, making it the ideal time to spot herbivores. Sizeable herds of Sambar deer and Indian Gaur congregate together to graze on the remaining patches of vegetation on the slopes beyond the reach of frost. It’s also the time when the Rhododendron trees (rhododendron arboretum, subsp. nilagiricum) begin to bloom. These trees are as ancient as these mountains and are endemic to the Western Ghats. The jungle pockets light up with their crimson red, bell-shaped flowers in winter. Rhododendron trees in bloom in winter. There is also a marked change in the animal world with the onset of winter – Love is in the air. Sambar stags sport impressive antlers as they vie for the right to mate with the does. Young bucks spar among themselves as curious does watch from the side. The stags generally shed their antlers in the summer and are fully re-grown by winter. The carnivores - the resident leopards and the wandering tiger - put on their rich, luxuriant winter coats as they search for mates. The long drawn sawing call of the mating leopards is common on cold wintry nights, while rarer is the deep moaning call of the tiger. The cold icy waters are ideal for Rainbow Trout. Introduced to these waters by the sport-loving British, the trout thrive in these protected waters inside the estates. With the advent of the cold weather, the trout start to swim upstream in search of new spawning grounds. The female trout digs a nest with her tail in the sand among shallow waters. 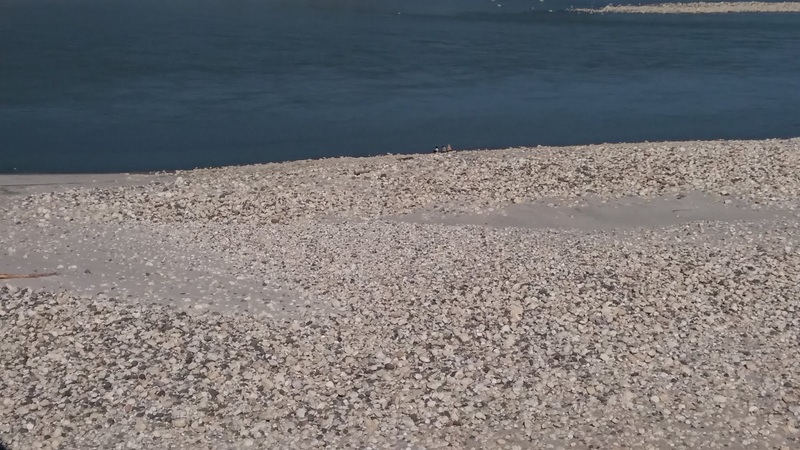 These nests are called “redds”. The female then lays her eggs in them, while the males follow to fertilize them. Among the avifauna, the most interesting winter visitors to these hills are the Wagtails. The Grey Wagtail migrates all the way from Central Asia for the winter. Just as the arrival of the Wagtails seems to indicate winter is near, their disappearance is a sign that winter is over. The winters in these hills are witness to some of the most breathtaking sunrises and sunsets. It’s worth getting up at dawn, braving the frosty winter chill to witness a sunrise. The sky in the opposite direction is still dark, but in the east, a mixture of yellow and orange appears on the horizon as the dark ocean of night begins to evaporate. Against a silhouette of mountains and trees that appear as shadows, the sun slowly peeks over the horizon. The sky changes colors rapidly, first into a hue of pink and then as the sun like golden ball ascends slowly, the sky finally becomes deep neon blue as its rays reach further out. The still cloudless winter nights make for beautiful star watching if one can brave the sub-zero temperatures. On full moon nights, it’s a striking visual to see a carpet of tiny dots of light all across the night sky, against the faint backdrop of mountains. Those tiny dots are stars, planets, galaxies and nebulae, all far-flung and a part of the visible universe. The winter, however, comes with its own set of problems. Water in pipes freeze and PVC pipes crack in the intense cold. Before the advent of anti-freeze diesel, vehicles wouldn’t start in the early mornings as diesel would freeze in the tanks, which in turn had to be melted by lighting a fire under the diesel tank. An exercise fraught with danger, as carelessness once ended with a burnt tractor in one of the estates. As March approaches, the planters and the bushes anxiously await the rains. With the heralding of the first summer showers, the rains appear to breathe new life into the seemingly moribund frost affected tea bushes. Fresh buds sprout from the bare frames and life begins anew. The bushes seem reborn and the circle of life repeats. Probably, a fitting paradigm to the industry, which has seen tough times, but has ridden these tough times and has flourished time after time. It was a day of bridges. We decided yesterday that it was time we went to see the Bogibeel bridge. 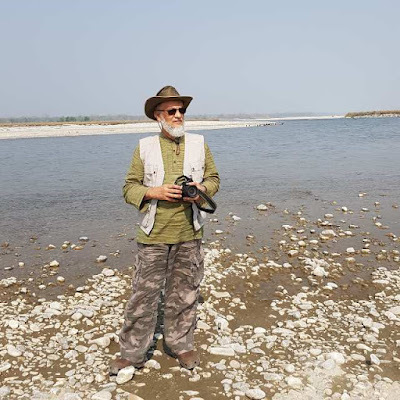 It is almost two weeks since the bridge was thrown open to the public, and we didn't want to miss out on a Sunday drive across the Brahmaputra. 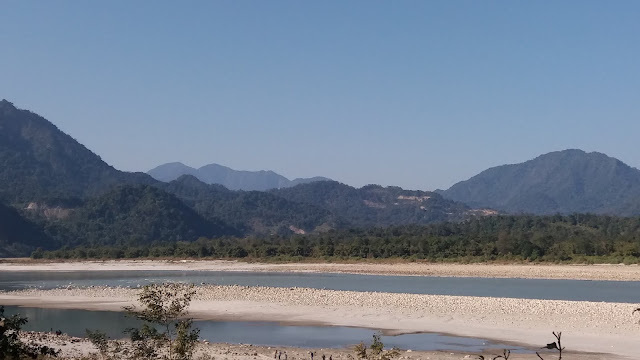 After crossing the Bogibeel we drove on to Pasighat in Arunachal Pradesh. And we discovered a little corner of the Dooars right there, so close to home. The Dooars! In three words, hills, rivers and forests. To be honest, it was more like the Dooars of the eighties than the present day, since there was no dust, not much traffic and definitely fewer people. Where there were people there was cell phone noise, and there were discarded packets of aluminium foil and plastic bottles. Definitely not the eighties, then. But it was not a day to nit-pick. The heat was quite intense, surprisingly, and it was a very clear day, which meant we could see many snow covered mountain ranges against the sky. A lot like Nagrakata in the Dooars. We didn't climb very high up into the hills, but it was enough that we could do a day trip in the area. Cold weather Sundays in the Dooars had always meant day trips into the hills – either the Bhutan or Darjeeling hills, depending on whether we were in the eastern or western part. Bogibeel has made all this possible right here in Dibrugarh district. In the Dooars, we purchased oranges by the pound (eighty oranges ) for many years. We'd pay a pittance for these freshly plucked oranges that came from Bhutan or Darjeeling near one or the other of the 'duars' or gateways into the hills: Totopara when we lived in Dalgaon district, Bagrakot when we were in the Western Dooars, and Chamurchi in the Binaguri (central Dooars ) area. Around the mid nineties, the orange sellers in Chamurchi went commercial. The oranges were now sold to exporters, and found their way into Bangladesh. We had to go to our fruitwala in Binaguri bazar and buy oranges that came from Nagpur, when we lived so close to the orange growing region of Bhutan! And did we complain!! When we lived in the Eastern Dooars,we were very close to Phuentsholing, Bhutan, and we would take a drive up the hill to the international border check post. From there we could see the Torsa valley spread out below us, and the Rajabhatkawa forest in the distance. On our way down, we'd find groups of young women selling oranges. They were used to tourists who came in droves, and my husband would have to bargain hard with them in the local lingo. The ladies always smiled and gave in! These ladies were beautiful; always well dressed and well groomed, with shiny hair, eye make-up and lipstick. Lipstick seems to be part of the dress code for women in the hills of North East India. When I go up there with my lips uncoloured, I feel almost indecent. When we drove up from Pasighat into the hills, there were the beautiful hill ladies - lipsticked, eyes made up, hair shining - sitting and selling plump, freshly plucked oranges. And, glory be, they sold them by the dozen! It's been years since we bought anything but bananas and lemons by the dozen - everything else is sold by the kilo. Our driver mumbled a question at one of the ladies who held up three fingers in reply and pointed uphill. He told us he'd asked where the ‘Hanging Bridge’ was, and said she had indicated three kilometres. This driver is quite a traveller in his own right, and he’d heard some friends of his talk about the Hanging Bridge. The orange seller could well have meant three hours, or even three days, I ventured out loud. 'Fine, off to Lhasa then!' said my husband, who loves being in the hills more than I do! 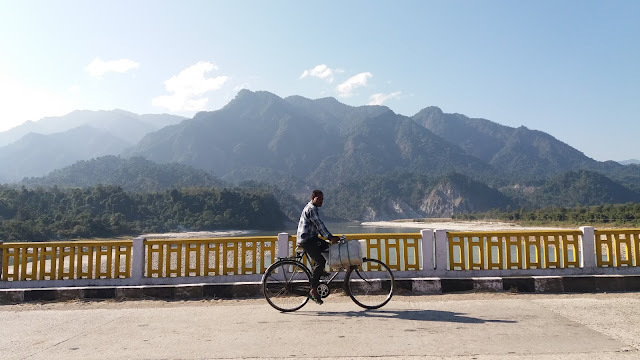 Three kilometres in the hills takes more time than it does in the plains, but we reached a 'spot' or 'spote' as it's called in the Dooars, very soon. We saw several parked cars, and people looking down the hillside into a deep gorge. And there, deep down, we saw it - the Hanging Bridge, a rope and bamboo structure, and there were people crossing it! At first sight, this may look like a video of ants walking a rope, but do take a closer look! On our day trips into the hills, we've always had a 'two o'clock rule': two pm is the time to turn back unless you're spending the night out. If only we'd had a little more time, said Mohan. He was all for climbing down to the rope bridge and crossing it. I said a silent thanks to my watch. I'd had my fill for the day, and there were the oranges to look forward to on our ride back. I was teaching English at Indraprashta College in Delhi when I met and married my tea planter husband in 1986. He brought me to the tea gardens - a completely different world from the one I knew! Life in tea continues to be unique, and I began writing about ours many years ago. Early in 2018, I started Indian Chai Stories to collect and preserve other people's stories from tea. 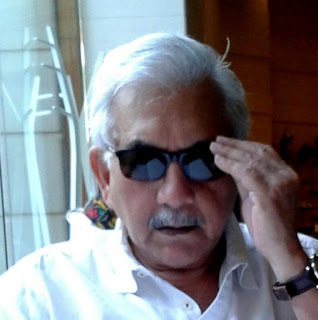 The first chai stories I ever wrote were for a magazine called 'Reach Out' which Joyshri Lobo started in the mid eighties for the Dooars planters. Some years later, Shalini Mehra started 'The Camellia' and I started writing there regularly. Shalini put me in touch with David Air, the editor of Koi-Hai, who gave me a page there. If you 'hover' over each name and you can go to the link/page. My family has always believed that I can write, and that is what keeps me going, whether I agree with them or not. My name is Gowri Mohanakrishnan and I'm a tea planter's wife. I started this blog because one of the things that I wouldn't want us to lose in a fast changing world is the tea story - a story always told with great seriousness, no matter how funny - always true( always ), maybe a tall tale, long, or short, impossible, scary, funny or exciting but never dull. The blog is updated every two to three days. You will find yourself transported to another world! Check out Indian Chai Recipes! Keep your connection with tea alive!! We are on Facebook! Like our Indian Chai Stories Facebook Page to get alerts and notifications! If you have never heard of a tea garden, let alone visit one, you've come to the right place! If you are longing to go back to a tea garden, you've come to the right place again! Our world of tea gardens is unique, and it is full of stories of the kind you'll never hear anywhere else. 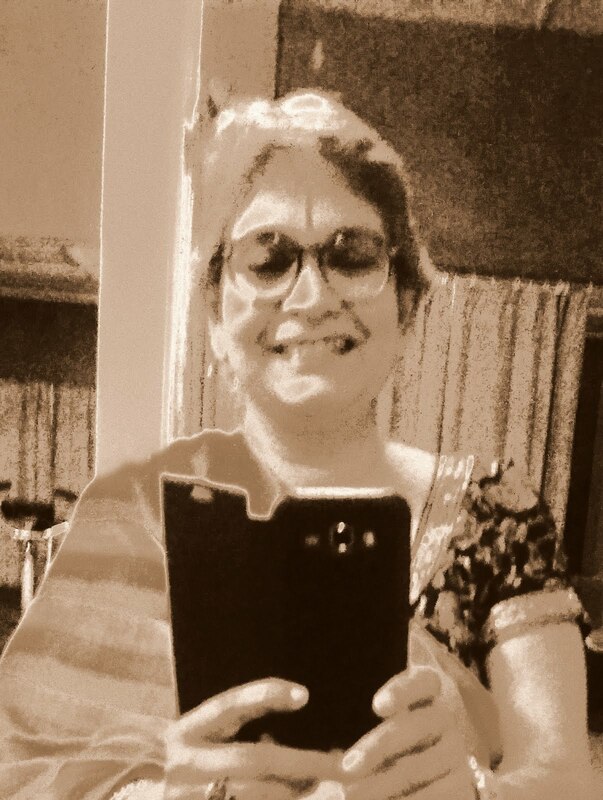 I'm a tea planter's wife and my name is Gowri Mohanakrishnan. I started Indian Chai Stories in the form of this blog - in a small way, with the first post going up on March 2, 2018. I wanted to have a sort of virtual 'Jali Kamra' (an airy room overlooking the garden in a tea bungalow), for friends who've lived in tea gardens to drop in and share their stories. Or so I thought. The response has been overwhelming, and we now have storytellers from seven countries including India! The writers whose stories you will read here have almost all lived in tea. If you don't belong to that category but have a tea related experience to narrate, you are welcome to share your story as well.Perhaps ours is the last generation of storytellers from this world, but who knows? There's something magical about tea stories: the minute you hear one, you want to tell one of your own!! If you have one to share, too, please send it to me at - indianchaistories@gmail.com - with any photographs you may wish to add. If you have come to this blog page for the first time, please keep clicking on the link to 'Older Posts' or see our Blog Archive to guide you to more stories. A list of labels will help you find different writers. Cheers to the spirit of Indian tea!